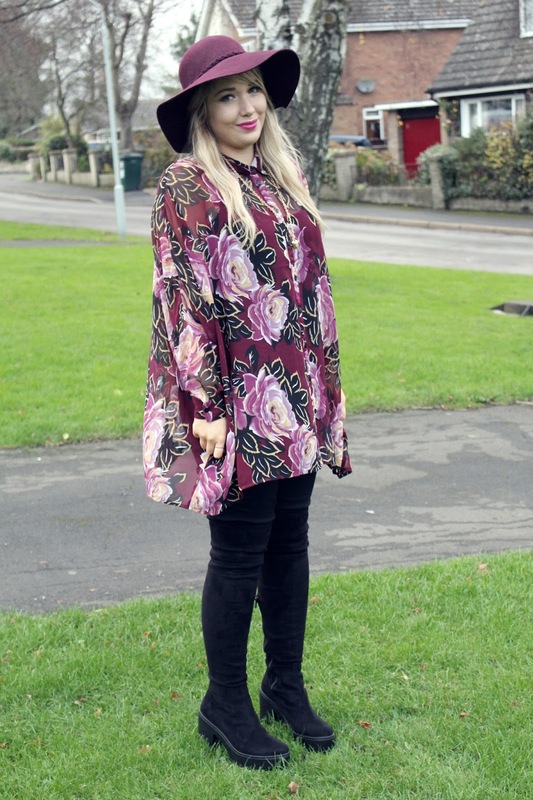 First outfit post of 2015 and it's an outfit I'm absolutely in love with. 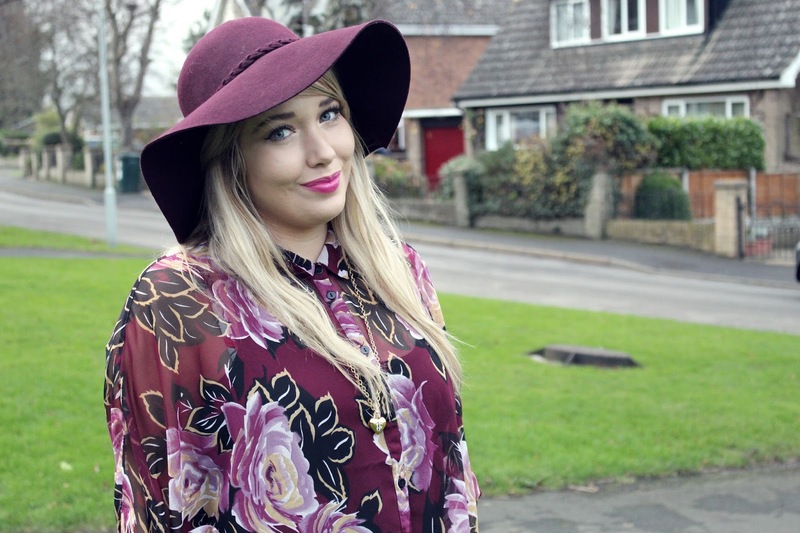 Slightly 70s, with mulberry tones, a floppy hat and wintry florals - what more could a girl ask for? 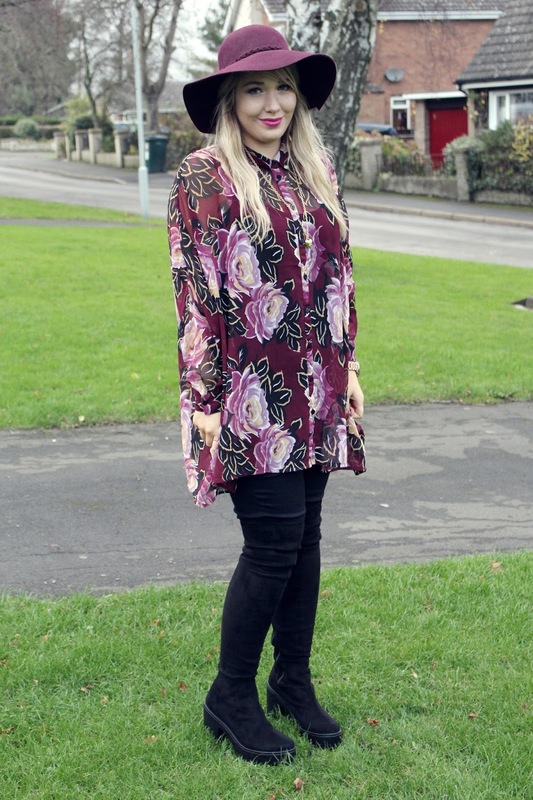 I've been wearing this oversized floral shirt from ASOS constantly lately, as I absolutely adore the colour and the oversized fit is super flattering. I feel really confident wearing it, which is quite a rarity nowadays! I paired it with some seriously comfy jeggings from Peacocks, which are my current go-to replacement for jeans that might have got a tad too tight over the festive season, and for £12 they're honestly amazing. I also thought I'd debut my over-the-knee boots from ASOS which I totally adore. They're out of stock at the minute but keep checking back, as I managed to scoop a pair when I thought they'd sold out! I'd recommend sizing up in these as I'm usually a 7 but got these in an 8. 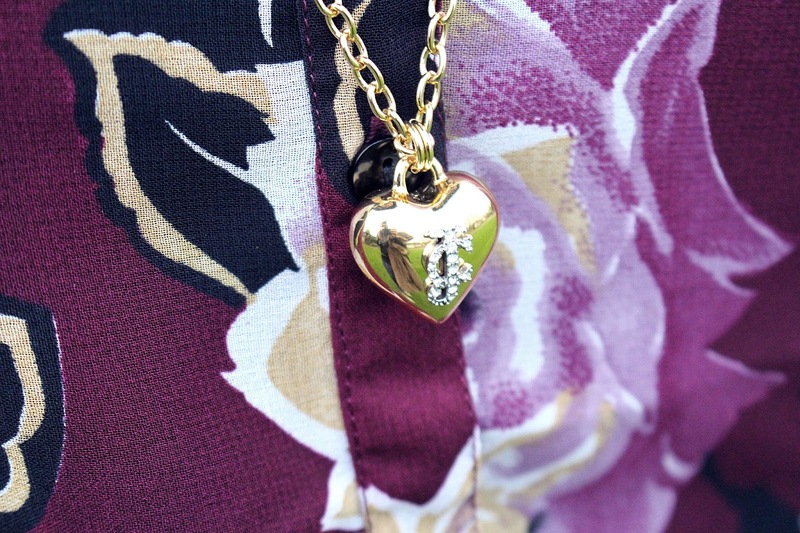 I finished the outfit off with my mulberry floppy hat from Primark and my beautiful gold Juicy Couture heart chain. I love how this outfit looks an totally loved wearing it. 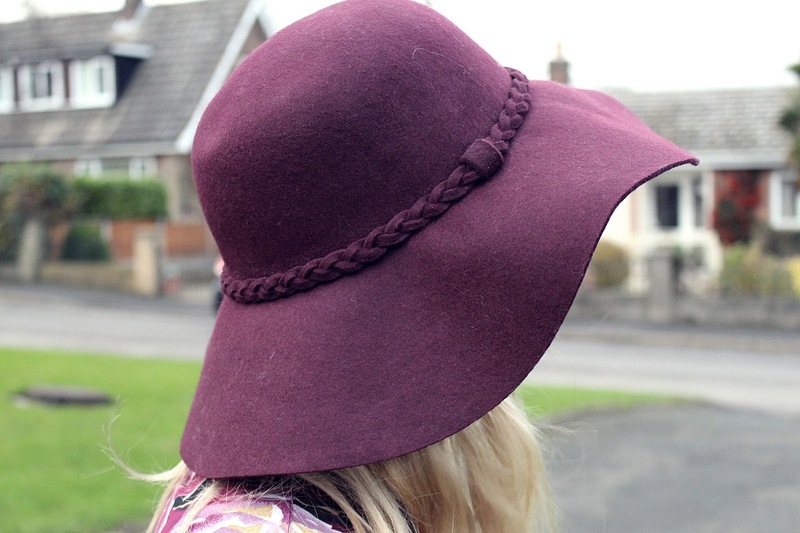 Are you wearing lots of red-wine hues this winter? I can't get enough of them!